1. 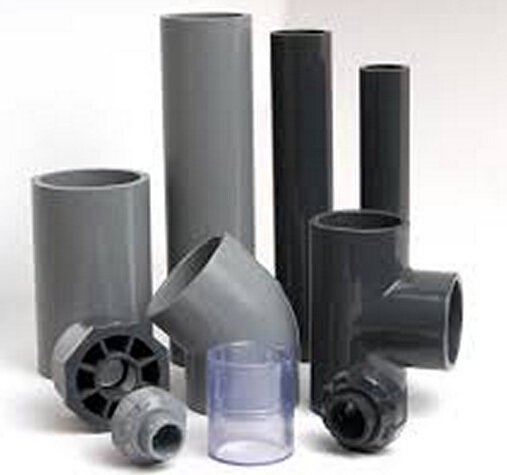 Chlorinated Polyvinyl Chloride (CPVC) is a thermoplastic produced by chlorination of polyvinyl chloride(PVC) resin. Uses include hot and cold water pipes, and industrial liquid handling. 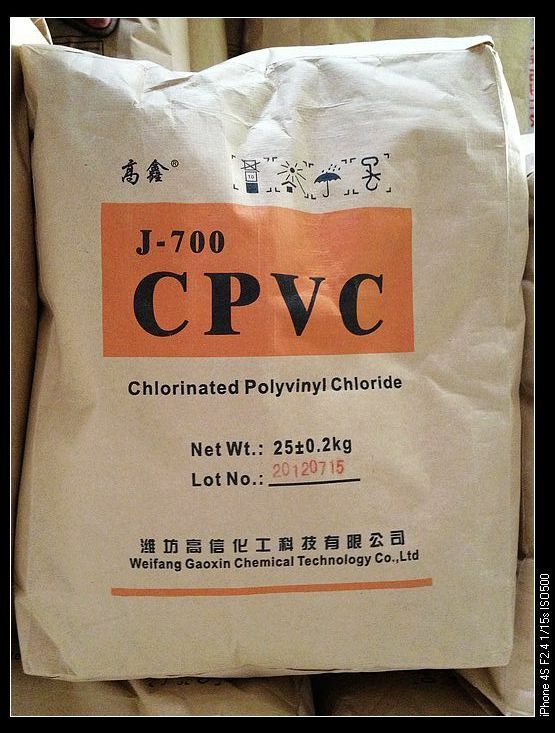 Chlorinated polyvinyl chloride (CPVC) is PVC (polyvinyl chloride) that has been chlorinated via a free radical chlorination reaction. This reaction is typically initiated by application of thermal or UV energy utilizing various approaches. In the process, chlorine gas is decomposed into free radical chlorine which is then reacted with PVC in a post-production step, essentially replacing a portion of the hydrogen in the PVC with chlorine. Depending on the method, a varying amount of chlorine is introduced into the polymer allowing for a measured way to fine-tune the final properties. The chlorine content may vary from manufacturer to manufacturer; the base can be as low as PVC 56.7% to as high as 74% by mass, although most commercial resins have chlorine content from 63% to 69%.As the chlorine content in CPVC is increased, its glass transition temperature (Tg) increases significantly. Under normal operating conditions, CPVC becomes unstable at 70% mass of chlorine. 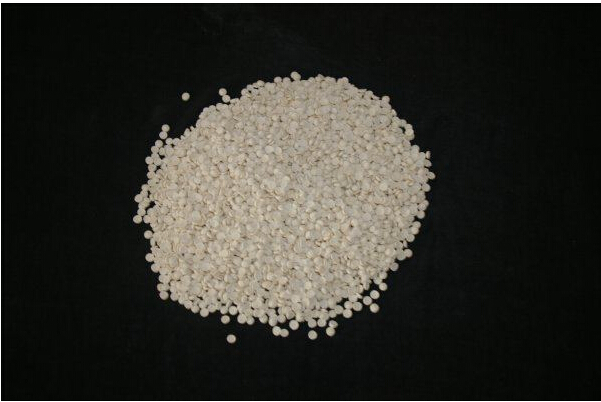 Various additives are also introduced into the resin in order to make the material processable. These additives may consist of stabilizers, impact modifiers, pigments and lubricants. CPVC shares most of the features and properties of PVC. It is also readily workable, including machining, welding, and forming. Because of its excellent corrosion resistance at elevated temperatures, CPVC is ideally suited for self-supporting constructions where temperatures up to 200 °F (90 °C) are present. Due to its specific composition, dealing with CPVC requires a specialized solvent cement, with high strength solvent cement variants being first introduced in 1997 by Weld-On, then followed closely by other products such as Henkel's Tangit line. The ability to bend, shape, and weld CPVC enables its use in a wide variety of processes and applications. It exhibits fire-retardant properties. 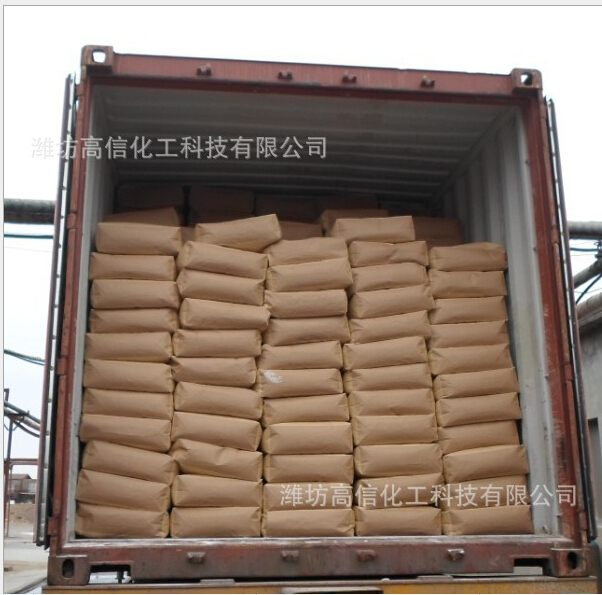 Looking for ideal CPVC Powder 700 of Extrusion Type Manufacturer & supplier ? We have a wide selection at great prices to help you get creative. 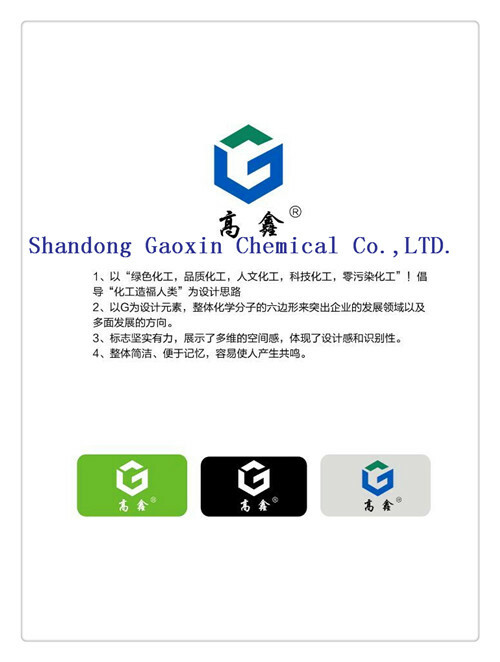 All the Gaoxin J-700 Resin Tasteless Non-toxic are quality guaranteed. 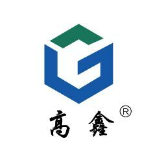 We are China Origin Factory of CPVC Resin Fireproof Material. If you have any question, please feel free to contact us.